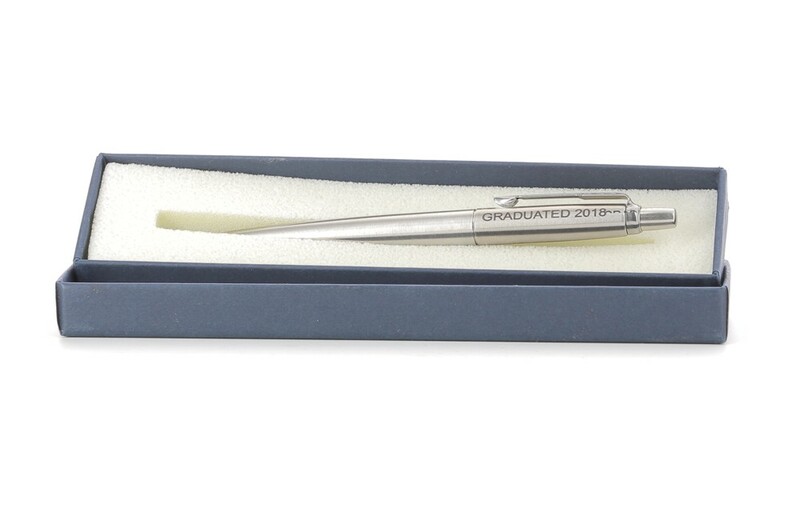 Engraved Personalised Stainless Steel Parker Jotter Pen in a presentation Box. A great executive pen, personalise and engrave this amazing pen to make a truly unique gift. Your text will be laser engraved into the parker pen. Please keep your engraving to a minimum. The best results will be if you just have a name engraved. Perfect for Birthdays, Retirement Gifts, Christmas, Father Day...it's endless! Pens come with blue ink. We will engrave in a standard clear font for you.